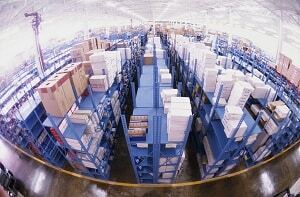 Distribution center loss prevention provides a unique challenge to the industry. As with all LP programs, the distribution center loss prevention team is tasked with reduction of shrink and generating a sufficient return on investment to justify their programs. Given the growing investment in supply chain inventory management, how does a distribution center loss prevention team move beyond the basics and begin to provide a significant value to the company apart from safety and physical security? The first step in evolving the distribution center loss prevention program is the implementation of a proactive investigations model. This goes well beyond simply reacting to tips and electronic article surveillance (EAS) activations. How do you identify theft in a million-plus square foot building? To many LP agents, this may be a daunting task given the sheer size and number of employees in a distribution center. However, regardless of location, be it a store or a factory setting, several of the key elements that we have perfected through our years in the field still apply to a manufacturing environment. One of the key concepts behind a successful investigation program is to realize the parallels that exist in the field and modify them. DC investigations are not about reinventing the wheel; they are about modifying the wheel that your company is already riding on. The best example to illustrate that point is by reviewing DC theft surveillance video. After reviewing hundreds of videos of DC theft cases, one will find them remarkably similar to watching a shoplifting video. We know how to catch shoplifters. So, why can’t we apply the same concepts to the DC environment? The answer is—we can. Although there are as many ways of focusing on shoplifting as there are companies with loss prevention organizations, they share enough commonalities that almost any technique can be translated into distribution center investigations. Just like in the stores, one needs to know what is missing. As simple as that sounds, it is difficult in a DC given the volume of product that moves through the facility. So, why not start with your inventory? Most companies have an inventory control department and inventory procedures that cycle count the product for replenishment purposes. Although this seems like the first logical place to look, it is often irrelevant to investigations in the DC. Why? If your physical security and perimeter are worked adequately, it is virtually impossible for a person, or even a theft team, to match the potential for operational errors in logistics security. Instead, reaching out to the stores to identify their top loss SKUs is a great starting point. If people are stealing a given product in the stores, they are likely stealing the same SKUs in the DC as well. The logic is the same. People take items that they want or need but cannot afford. Or they steal items to exchange, return, or sell for a profit. Just like in stores, the items stolen are typically expensive and easily concealable. Those are the items to focus on. The next step is to establish an audit program. One suggestion is to divide the distribution center into zones, assigning each area to an agent and giving them ownership of it. This makes supply chain inventory management more manageable and allows an agent to become an expert in that part of the building. Have the agents walk their zone daily, looking for signs of theft, including empty packages, price tags, EAS tags, torn boxes, hidden merchandise, and product and locations that may be more opportune places for theft to occur. If possible, have agents learn operational functions, like cycle counting. Many times, theft cannot be detected by findings of a loss prevention audit. By counting items, agents are able to establish trends and hopefully match them with other operational programs that tell who was in that area and who was supposed to be picking. You could even use a modified cash-tracking log to trend out associates. In most distribution centers, overt camera installations rarely cover the areas where theft occurs. Investing in covert cameras is a must. There are numerous covert packages that are inexpensive and can be deployed in downtime and perhaps even in shift changes. Work with planning and inventory control teams to slot theft merchandise into the areas that you can cover with cameras. Most DC warehouse systems slot merchandise in the next available location, but don’t be afraid to explore the possibility that if you know the SKUs and locations, it is possible to create a work order to have the product moved or replenished into a specific location. One of the pitfalls of reviewing video footage and DC investigations is identifying mispicks. To LP agents, it can be frustrating to identify a trend of missing product only to find it is an operational mistake. However, in today’s world, loss prevention is more than just catching thieves. LP is about adding value and maximizing return on investment. Even when an investigation determines that loss is not theft related, it is important to move the investigation from apprehension to training. Work with the operational management team to have associates retrained on the importance of picking. Keep track of the numbers that generated. They can add up quickly. Mispicks in the distribution center either manifest themselves as a store shortage or overage, but they may have more of an impact than a simple loss or gain. If a mispick is short, then it causes store shrink. But what about overages? That overage may go to a store that doesn’t need it, where it may get marked down, resulting in profit reduction. On the other hand, the overage may cause merchandise to be unavailable for a store that needs the product, thus starting a chain reaction of loss of sales and potentially a negative customer experience. Just as our operational business partners have the goal of delivering to the stores an accurate load or carton, so should we. Another consideration in correcting operational mispicks is that shrink may be paid for differently at distribution centers then it is at the stores. In many companies, DC shrink is not added to the stores overall cost (percent) to sales. Rather, it exists as a separate margin account or maybe even rolled into a larger expense account altogether. Partner with everyone you can. Reach out to associates’ managers and let them know about the errors. Take the time to look at why the errors occurred, not just that they did. Many items are received and stocked differently than the way they are shipped. It is impossible for training programs to cover how to pick every item, and it is possible that the packaging of the item may be confusing. When an item is operationally challenging to pick accurately, publish the information so that everyone can learn. Have agents speak at the start of shifts or at facility meetings. Not only should you tell the associates which items are difficult to pick, show them how to correctly pick the items. You could also create a sign near the items that provide specific instruction on how the pick is to be completed. In addition, when a mispick is identified early enough, reach out to the stores and have them make adjustments to the load when they receive it. If you are monitoring covert footage daily, it may even be possible to locate the carton in the warehouse or on the shipping docks to have it corrected before it leaves. Once you have investigations moving and are adding value by both identifying dishonest employees and mispicks, it is time to use the information from your inventory control department. This poses the question: why would you go after smaller losses first and leave the larger operational errors? Because the team needs to learn how shrink occurs, which is the by-product of investigations. By attacking the inventory management data first, you may find that an item that could only be theft, but subsequently not know how to further investigate and resolve it. Another common distribution center error is when product is stocked incorrectly and thus picked and shipped incorrectly. Several distribution center warehouse systems only require that the location be scanned to activate the pick and the carton label scanned (or a variation thereof) to close the pick. But what if the item in the location is incorrect? Slotting Errors. Most systems focus on a location that is tied to product and do not give the employee visibility to what they are picking. This creates the possibility that they may be picking the correct quantity–of the wrong item. If you receive at the carton level or have assumed receiving, slotting errors lead to replenishment issues, out-of-stocks, markdowns, loss of sales, and often a negative customer experience. There is nothing more frustrating than calling ahead to a store to see if they have an item in stock to be told, “The computer says we have four.” Then, when you arrive, they have none. Distribution center loss prevention departments can have a tremendous effect on eliminating those types of errors. Incorrect slotting does cause an overage and shortage that will balance out at the unit level, but the probability of it balancing out financially is slim. It is difficult to put a price on having the correct units on hand at the store. An excellent way to combat slotting errors is to have LP agents monitor their areas for it. When they are performing audits, have them look for high selling and core merchandise, noting the locations. When they have administrative time, have them verify the contents of the locations and the products in them. Again, keep track of the errors, and don’t stop once you have identified an error. Many systems are capable of generating a location history that will tell you who last replenished or stocked the item. You may even be able to determine what cartons could be affected by any picks that would have been incorrect and have them fixed, or reach out to the stores and have them cycle count the merchandise so they can be replenished properly. Full-Case Shortage. There is another major error that contributes to both distribution center shortage and store inventory shrink. In the examples given so far, most were targeted toward errors at the unit-pick level, but full-case issues can be the most costly, especially vendor errors and master-pack issues. If you receive product at the carton level and no audit is performed to verify the quantity of the units in the cartons, then shortage will start to appear quickly. Some companies only audit a vendor when it meets certain criteria, such as when they’re a new vendor or the first time a particular SKU lands in the DC. Once the vendor has passed the audit, it may be some time before that product is reviewed again at the master-pack or carton level. Full-case shortage is going to show up in two areas. The first, and potentially most harmful, is in store shrink. If a company picks a full case, and the store scans (or assumed receives) the carton based on the carton label, they may be accepting shortage into their inventory. Another important thing to consider in supply chain inventory management is that most companies will not send low-selling and low-turn items as a full-case pick. Full-case pick items tend to be high-selling, core items, and new product that the store is starting to sell. Once again, errors of this nature can lead to major customer service issues. The second place that vendor errors are going to start showing up in is unit pick and potentially in investigations and trending. Unit pick is frequently replenished from full cases. If there is a vendor shortage, then when the location is picked clean, the system will still show units available. This makes the shortage look like theft or a mispick when, in fact, it is neither. Once again, if the system creates a pick based on units that it believes are available and they are not, you potentially have more replenishment issues and customer service impacts. One of the best ways to identify vendor errors is to conduct audits outside of your receiving department’s parameters and to target the items that will have the most impact to your business. The ideal time and place to conduct these audits is when the product is received. This will allow you to make adjustments to the PO before it is completely added into your system. It is possible to simply go to bulk storage and full-case areas and audit cartons after they have been received, but you run the risk of only being able to correct what is still on hand, not what has been shipped or replenished into the unit pick areas. Bill of Lading Audits. After the full-case and unit-pick audits are established and once again returning value to the business, it is time to audit bills of lading and loads. Many have operational auditors who do this, but often staffing is minimal and stores are targeted at random. This is an excellent time to partner with the field and identify high shortage stores for loads. If your department is capable of auditing loads on their own, then target the stores you have identified and be sure to measure your results. If your department cannot audit loads, then work with the auditors to see if they target the stores that you have selected. As mentioned above, do not simply identify that the load is inaccurate without finding out why the error occurred. One of the most challenging areas and opportunities for misloads occurs when it is time to close out the trailer. In many cases, replenishment workers may have delivered cartons or pallets to staging areas to be loaded onto a trailer and scanned them in as loaded when they cannot physically fit onto the truck. This causes the BOL and the trailer contents to mismatch. Many times, these cartons may make it onto the next trailer, but once again this leads to potential customer service issues. And there are times when they do not make it onto the next trailer, or they are put on a trailer bound for a different store, which causes a host of replenishment problems. The keys to correcting misloading issues are communication and training. Be sure to talk to the staff in the shipping department and let them know what kinds of problems that misloads can have. Identify what causes the error and attack the problem. If it is closing procedures, work with the department to start scanning the item once it is on a truck. Check the dock frequently for product and audit product in staging areas. Help the team to identify if it is the right area. If you do find an error, then report it to the stores so they can make the corrections to the receipt of the product and ensure that they are replenished properly. Adding value and return on investment by your distribution center loss prevention team is an ongoing process and goes beyond your responsibilities at the distribution center. Encourage the LP team to learn everything they can about supply chain inventory management and how DC practices affect the ways the stores receive and, most importantly, how it affects shrink. Have the agents reach out to high-shrink stores and inquire about the receiving process and the loads they receive. Make your agents one-stop shopping for supply chain loss prevention expertise. One of the underlying themes in this strategy is education and communication. Let your field partners know what your distribution center loss prevention team is doing and how your programs can not only affect store shrink, but also sales and in-stock levels. Just as importantly, train your DC operational business partners, even down to the associate level, on how each action they take can have dramatic effects on supply chain inventory management and even store shrink. This article was originally published in 2007 and was updated February 11, 2018.